Since the first edition of the Handbook of Alternative Assets waspublished, significant events-from the popping of the technologybubble and massive accounting scandals to recessions and bearmarkets-have shifted the financial landscape. These changes haveprovided author Mark J. P. Anson with an excellent opportunity toexamine alternative assets during a different part of the economiccycle than previously observed in the first edition. Fully revised and updated to reflect today's financial realities,the Handbook of Alternative Assets, Second Edition covers the fivemajor classes of alternative assets-hedge funds, commodity andmanaged futures, private equity, credit derivatives, and corporategovernance-and outlines the strategies you can use to efficientlyincorporate these assets into any portfolio. Throughout the book,new chapters have been added, different data sources accessed, andnew conclusions reached. 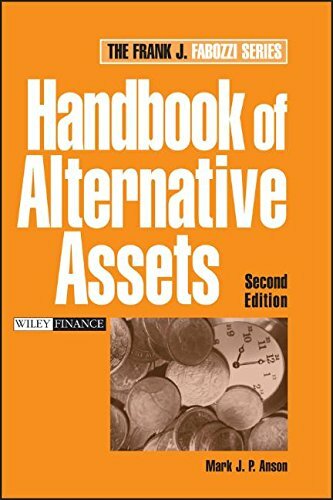 Designed as both an introduction to the world of alternative assetsand as a reference for the active investor, the Handbook ofAlternative Assets, Second Edition will help you match alternativeassets with your various investment goals.